This page is part of a series to augment the Fictional Cartography by D.N.Frost available for free download. The best and latest map commissions are gathered in my Portfolio Directory for you to explore. How do you share your world? Could more people connect with your work? Are you looking for more interest from your tribe? A map will let you share your world instantly with people. Your true fans can take one look at your map and know that they belong in your tribe. As an author, I know how tough it is to engage people in the world you invented. But a map is the single best way to get the attention you deserve. Your world map embodies your creativity in a delightful visual that lets you connect instantly with the right fans. 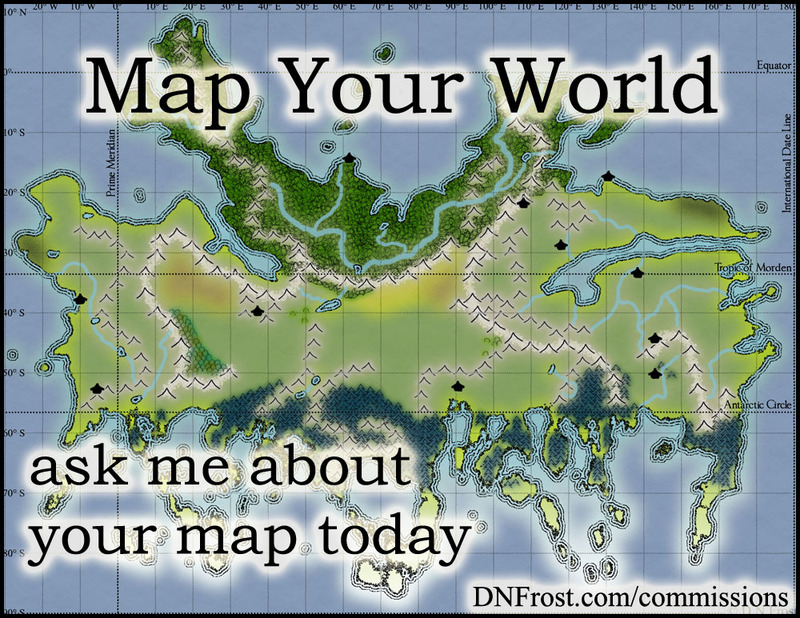 Download your map guide Fictional Cartography by D.N.Frost here.